Samuel Goldwyn Films is set to release Xavier Gens’ (THE DIVIDE, 2011) COLD SKIN, this September. The film was acquired by Samuel Goldwyn Films earlier this year, for distribution throughout North America. Influenced by H.P. Lovecraft’s work on The Shadow Over Innsmouth, COLD SKIN centrally stars: Ray Stevenson (“Black Sails”) David Oakes (“The Living and the Dead”) and Aura Garrido (The Body). This fantasy feature will be available on several platforms: Digital, On-demand and in theatres - in just a few weeks. And now, we can reveal the film’s exciting theatrical trailer and official film poster below. The film’s story begins with a reclusive lighthouse keeper (Stevenson). When a weather observer (Oakes) lands on the isolated island, he is forced to confront the island’s original natives. Together, these two men must work together as a nightmare emerges every night, from the nearby shoreline. 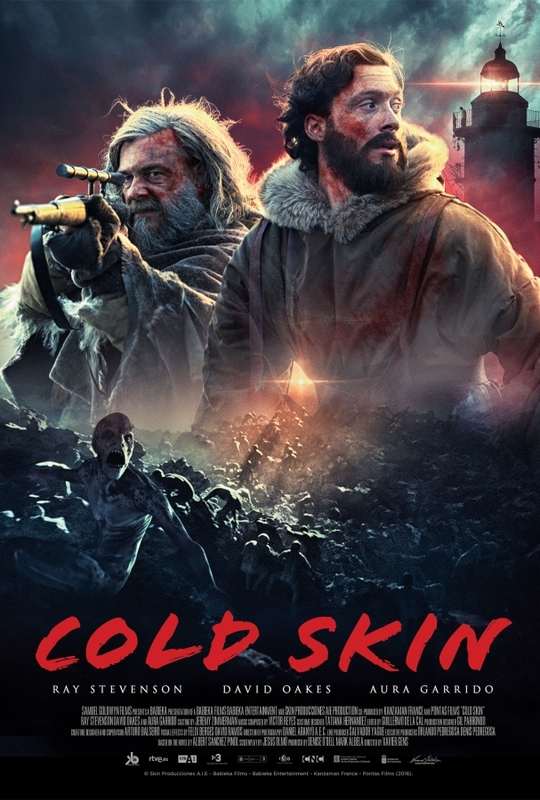 COLD SKIN was developed from Albert Sánchez Piñol’s 2007 novel. Writer Jesus Como (28 Weeks Later) and Eron Sheean have developed the screenplay. Now, fans of fantasy and horror can see more of their work and of COLD SKIN as the film nears its 7th September release date.